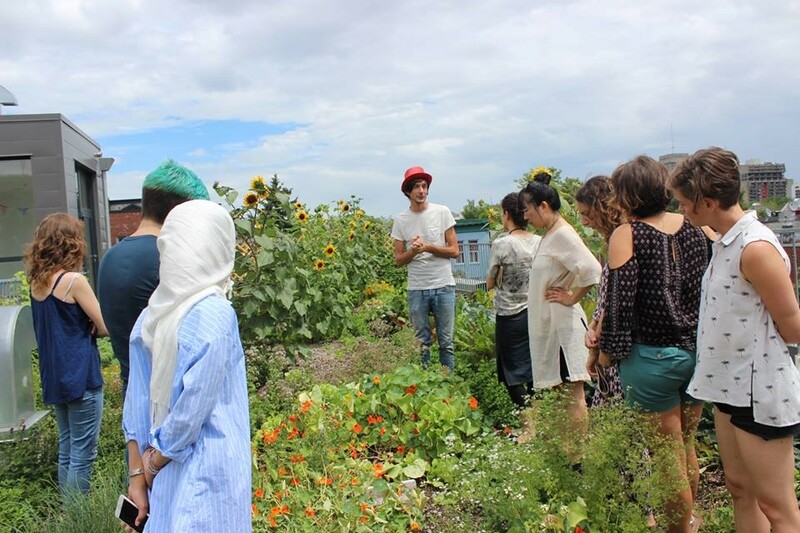 The Jeanne Sauvé Foundation was delighted to host an inspiring international group at Sauvé House this summer as part of the RecrearMagnify program. 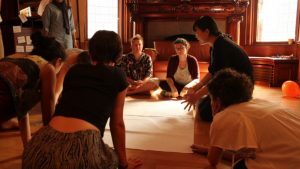 RecrearMagnify was a two-week residency program for practitioners to deep dive into their personal transformation and that of the organizations and systems they engage. This 7th edition of the program brought together 14 practitioners from various fields including peace education, global health, evaluation, social entrepreneurship. They came from all over the world, including Saudi Arabia, Italy, Nigeria, US and Colombia and embraced a wide age range between 23-38. 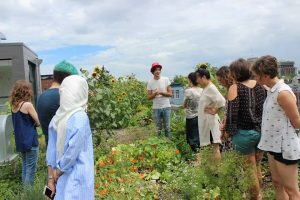 Participants spent two weeks exploring what ‘alive and healthy’ looks like for them as practitioners but also for entire organizations and systems. To spark the inquiry process, the group took part in a 3-day personal development course with Hector Aristizábal, a world-renowned psychotherapist and theatre practitioner who has combined over 30 years of experience working with Theatre of the Oppressed, Rituals and Storytelling to create spaces for healing all over the world. Thereafter the group went on to develop their own workshops for one another to further explore the question. 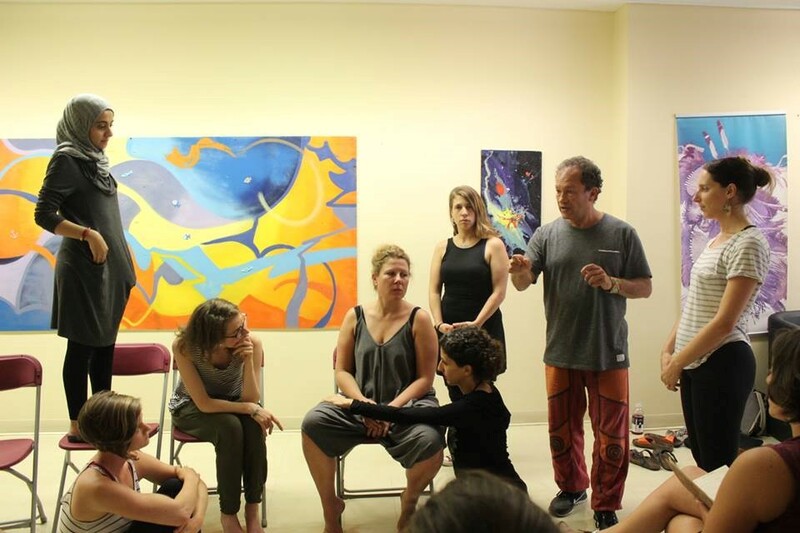 They brought forward methodologies and tools from silence practice, polarity management, embodied movement and everything in between. To nourish our collective process, we received speakers at numerous points. These speakers spoke to several areas of interest to the group including: life and death processes in organizations, transforming organizations to be inwardly and outwardly healthy and alive, anti-oppression in organizations and the role of emotions in the system. We were honoured to be joined by Tana and Warren (Organization Unbound), Vanessa Reid (The Living Wholeness Institute), Rebekah Hart (The Work that Reconnects), Saida Benhayoune (D-Lab), Dru Oja-Jay. The group also had the great priviledge of being hosted for a site visit at Santropol Roulant with their lovely executive director Pier Liné. Pier gave a tour of the Roulant and shared with us what makes the Roulant so unique and alive. Following the group workshops, site visit and speakers we delved into sense-making. What have we learned about our question and what can we take with us? This culminated in a share back dinner to celebrate our time together and bring the program to a close. The group is deeply grateful to the Sauvé House and staff for so kindly hosting the program. The co-living experience is always an important piece of the program and the house quickly felt like home to all of us who inhabited it. Thank you!